The Dail recently voted to join PESCO. 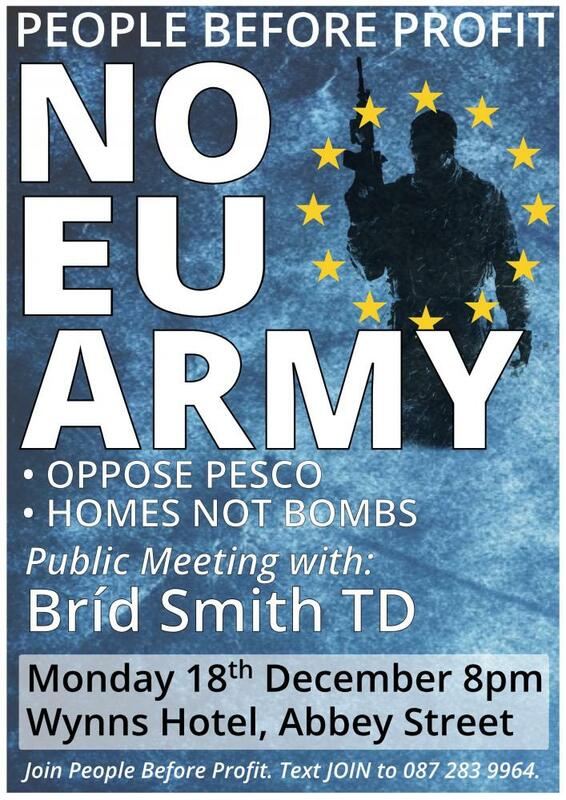 This is the first stage of Ireland joining an EU Army. With PESCO we will be under the command of NATO. This would be the end of our neutrality. It also commits Ireland to spending € 2+ billion on military spending. Currently we spend around a €500 million or about a quarter of that figure.